Once again we left the crowds behind. 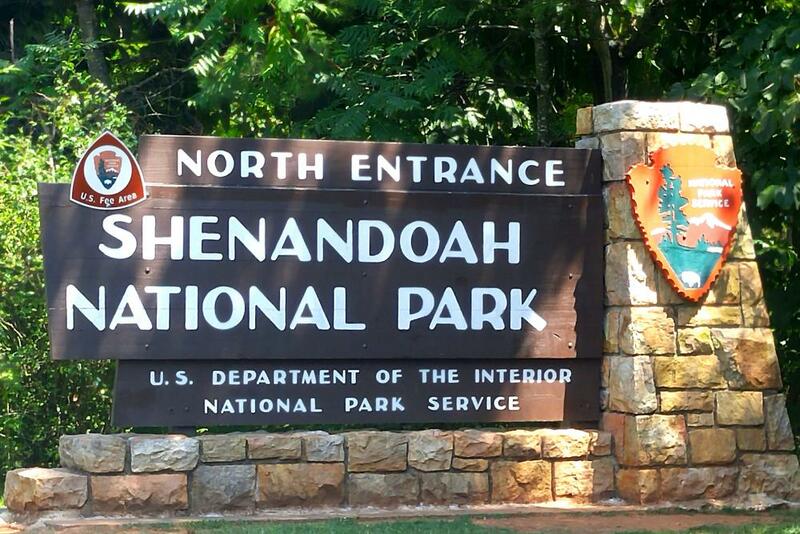 72 miles from D.C. and a world apart, Shenandoah National Park sits along Skyline Drive in the Blue Ridge Mountains. This range stretches from Pennsylvania to Georgia and is part of the larger Appalachian Mountains. Skyline Drive meets the Blue Ridge Parkway, creating 574 miles of one of America's most traveled scenic routes. 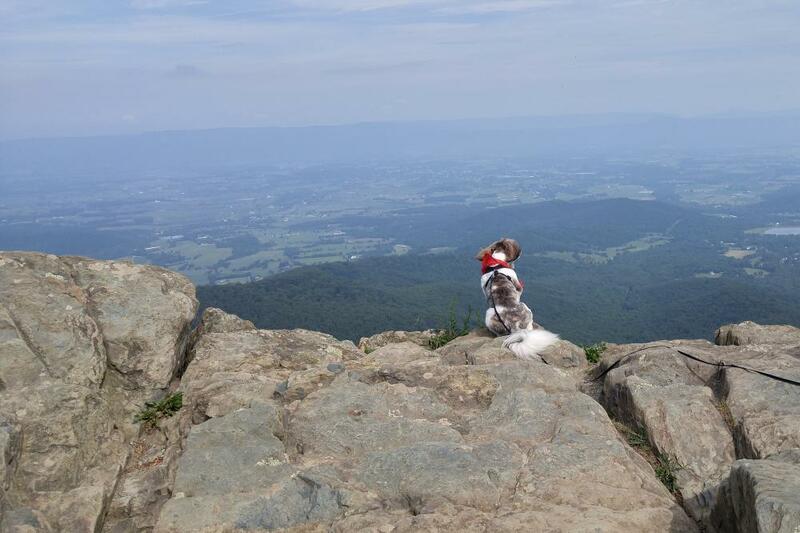 With only around 3000 feet elevation in Shenandoah's N.P. we weren't able to escape the heat. On average temperature loss is 3.5 degrees per 1000 feet of elevation. All hikes were scheduled for early in the day with a planned siesta back in the air-conditioning upon our return. Many of the hundreds of trails allow dogs which varies greatly from park to park. Last year where we volunteered at Bryce Canyon dogs were not allowed on any trails. Leaving Shenandoah we continued on the parkway to the Blue Ridge Music Center to enjoy some of the blue grass music played daily on the veranda. SLOTH did fine on the narrow winding road with Steve at the wheel but many times we did day trips from our campground in Toad. We spent the month of August volunteering at Lake James State Park and thorough enjoyed exploring more of North Carolina. 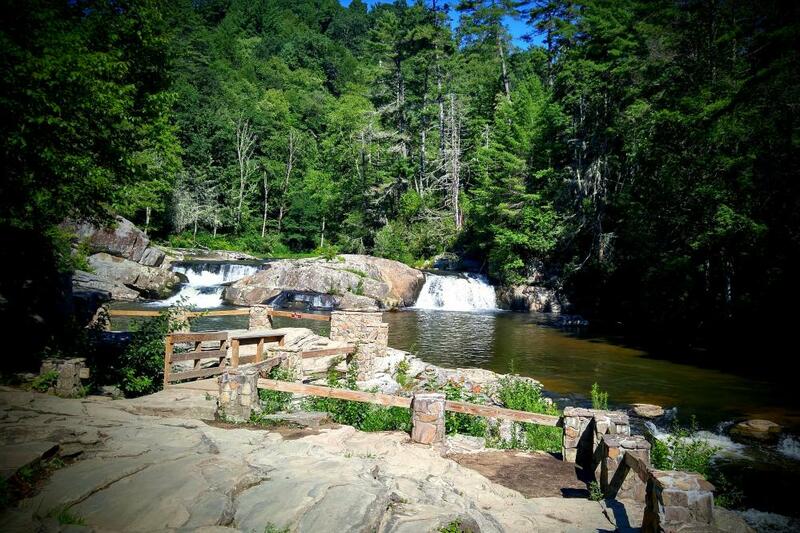 Day trips included many hikes along inviting brooks and scenic vistas.